It’s that time of year again; no matter where you go, you’re surrounded by people who are sneezing, coughing, and sniffling. If you want to stay healthy during cold and flu season, you need to take the right steps to boost your immunity and equip your body with the tools it needs to fight infection. These tips will help you survive the holiday season feeling your best. IV nutrient therapy overcomes nutrient deficiencies and balances your body’s nutrients by delivering vitamins, minerals, and amino acids directly into your body’s bloodstream. Unlike traditional oral vitamins that aren’t efficiently absorbed, IV therapy ensures that your body receives everything it needs to remain in optimal health. By nourishing your body with the right vitamins, minerals, and amino acids, IV nutrient therapy can keep diseases at bay, recharge your mind, rehydrate your body, give you more energy, support your immune system, and detoxify your body. In other words, it keeps your body in the best health possible so you don’t become the next victim of the flu season. You’ll be surrounded by tempting, decadent foods this holiday season, but splurging on every single dish won’t help you feel better. Your wellness is directly correlated to the food that you place into your body. A steady diet of sugar, soda, trans fat, refined carbohydrates, and processed foods will burden your body and make it even more vulnerable to illness. A diet balanced between lean protein, green veggies, healthy fats, and fermented foods, on the other hand, will actively boost your health. We live in a world where toxins are virtually inescapable, but that doesn’t mean you need to let them define your health. 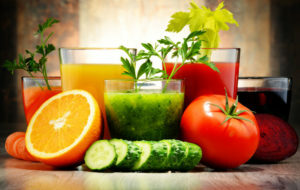 Toxins are connected to everything from digestive problems to Alzheimer’s, so eliminating as many toxins as possible from your life will boost ongoing health. Chelation therapy removes heavy metals like lead, mercury, copper, iron, arsenic, aluminum, and calcium from the body. Molecules of the amino acid EDTA are delivered through an IV into the body. EDTA naturally latches onto heavy metals and carries them out of the body through the urine. If you’re ready to protect your health this cold and flu season, call (813) 935-2273 to make an appointment at MindBodySpirit Care in Tampa, Florida. Dr. Shemesh and his team of holistic experts will work with you to optimize your health naturally.